It’s been so long since I had the chance to just sit down and write about things. I haven’t been able to post as much as I want to because May and June was a lot busier than I expected it to be and most of my free time are restricted to weekends. For the past 2 months, most of those weekends were crammed full of errands, work, a wedding here, a trip abroad there, my birthday, aaand wakeboarding. Did I mention that I reeeeally love May 2014? Too bad my birth month is already over and June just ended <insert horrified where-did-the-time-go gasp here>. BUT that doesn’t mean the fun has to be over, which leads me to my favorites for the months of May and June. I thought I should combine the two since I pretty much used the same stuff for both months. But this time I’m throwing in a couple of techie items and bath products with the beauty stuff. Just because. So let’s start with the beauty items shall we? I tried real hard to fit all of my favorites in this bowl and I succeeded. At least for the beauty items. These are all summer favorites and guaranteed that they can stand and last despite the heat. 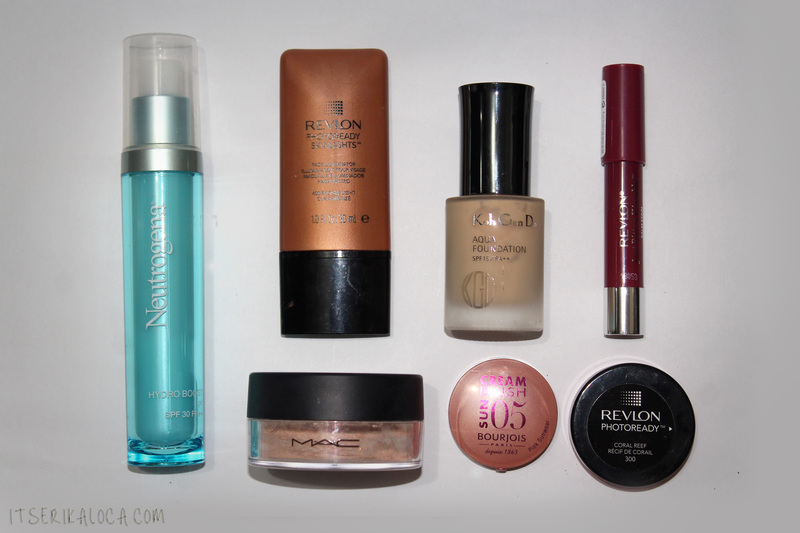 I have so much love for the Koh Gen Do Aqua Foundation and MAC Magically Cool Liquid Powder. ❤ Oh and yes, those are cream blushes. I mentioned these in my last post and I actually fell in love with them so here they are. More deets below! I have dry skin so I’m okay with heavy moisturizers, but during the summer, I prefer gel moisturizers. It has a cooling effect on your skin and it gets absorbed so quickly which feels refreshing to me. It also has SPF 30 so it’s perfect for when you’re going to be outdoors for a couple of hours. The best part? It won’t make you feel sticky even when you’re sweating profusely. I can guaran-damn-ty it since I brought this to my solo trip in Siem Reap over a month ago and I can attest to the fact that this will reduce oiliness and that sticky feeling despite the intense heat. I’ve heard a lot of good things about this foundation, and although I am not big on foundations, I decided to give it a try. Beauty Bar had my shade and it was 45% off (from P2750.00 – P1450.00) so how could I resist? I’ve been using this for almost a month and I can easily say that it’s one of the best foundations I’ve ever used. And mind you, I’ve tried quite a lot of foundations. This is watery and very light on the skin. It feels like you don’t have anything on your face, which is what I love the most about it. It has medium to heavy coverage, and sets really fast. I find that I don’t even have to use a setting powder for this because it makes your skin feel smooth and silky once it dries. The best part? It has a luminous finish. It’s not shimmery but it makes your skin look like it’s glowing. It’s perfect for events because it’s practically sweat proof and photographs so well. Plus points because it doesn’t melt, cake or smudge even when it’s so hot and you’re sweating buckets. I highly suggest checking the Beauty Bar near you and nab a bottle of this foundation if they still have your shade. You won’t regret it. 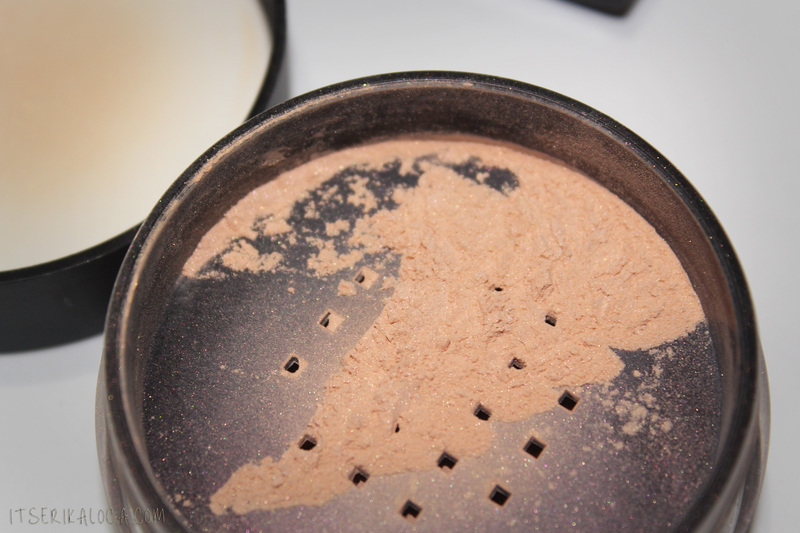 How much do I love this powder? I cannot quantify it. This is just mind-bogglingly awesome and perfect for setting any type of makeup base. I like my skin to have a bit of glow in it though, so if you’re after a totally matte finish, you might not like this. I have a foundation that looks too matte after I set it with the Ben Nye Banana powder, and only this powder sets it without making my face look flat out matte. It’s quite expensive but you know how MAC products are. A little goes a long looong way and it will totally give you your money’s worth. This is like self tanner for the face and highlighter in one bottle. It won’t stay on all day but it is definitely beautiful. I started using this back in May when my arms and body were tanned but my face was starting to go back to my original skintone. Now, I’m super tanned again so I just use this to give my face a little bronzy glow. Ahhhh, cream blushes. I used to hate them but nowadays, I can’t do my makeup without using one of these two. I’ve been using the Revlon coral reef practically everyday for the past 2 months! That’s saying something because I usually switch blush shades after 2 or 3 weeks. The Bourjois pink sunwear is NOT pink at all. It’s more bronze than pink but it is just perfect for giving your skin a post-summer glow! 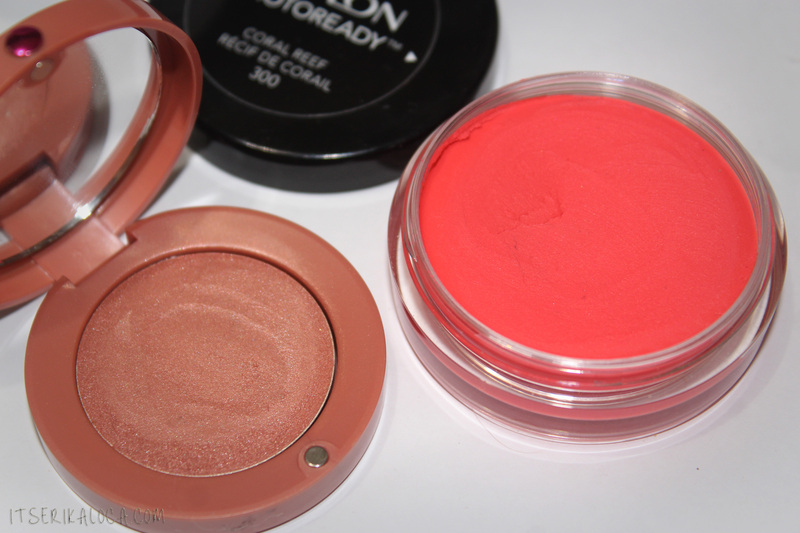 Cream blushes look natural because they look like cheek stain, but I’m not a fan of the ones with the tacky finish. It just puts me off of cream blushes which is a pity because they look so good on the cheeks. I have like 6 of these Revlon balm stains and I’ve had them since Mega days, but I only got this shade recently. It’s actually the only shade from this line that I really want. I still don’t understand why it took me 2 years to finally get it. Haha! I just love this color soooo much. I favor dark and berry-toned lipsticks and lip products so this is right up my alley. I reach for this balm stain whenever I’m too lazy to wear lipstick. 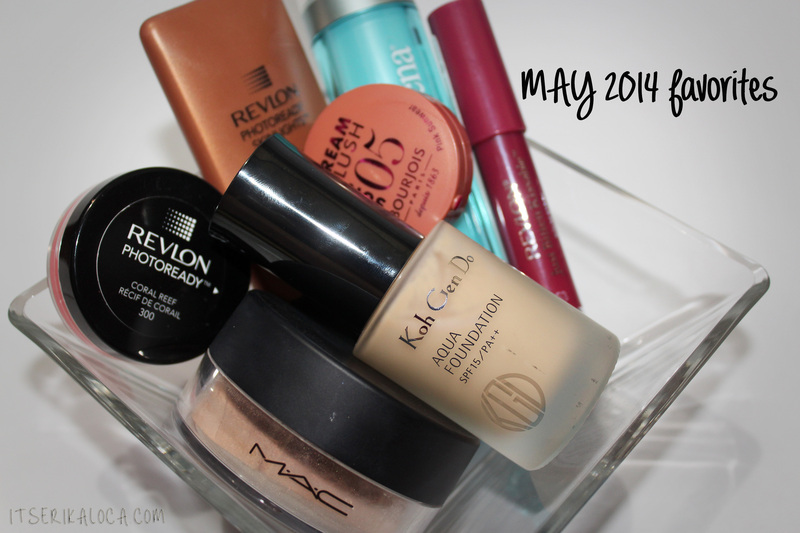 I still can’t believe I managed to narrow down my beauty favorites into that. So I got myself the big bottle this time, and I am just obsessed with this! It smells soooo good! 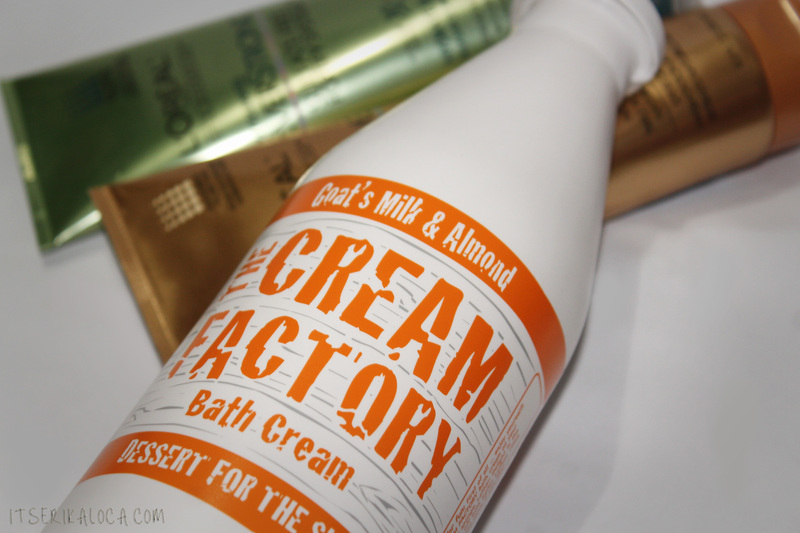 It lathers up like a dream, leaves your skin feeling smooth, clean and hydrated. I’ve been using these since I dyed my hair back in 2011, and to date, it’s still my choice of sulfate free shampoo and conditioner. Unlike other sulfate free shampoo, this doesn’t leave your hair feeling sticky or dirty. I love the EverCreme line the most since it smells like vanilla. The Everstrong is okay too, since it smells like rosemary and juniper. The Evercolor which is the pink one and not included in the photo, smells too manly, even for me. BLECH. I’ll stick to these lines, thank you very much. 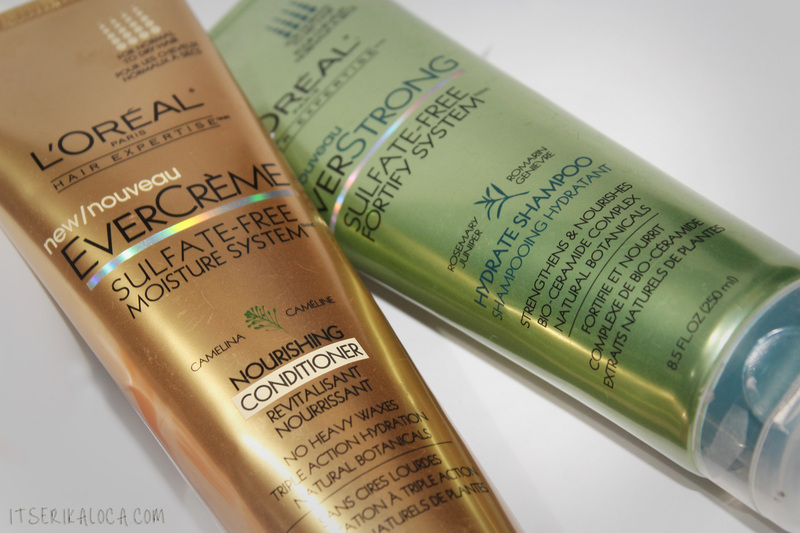 L’oreal Sulfate free system hair products are already available locally. You can find them in SM department stores and Watsons. It’s my first time to have this section in my favorites. Honestly, I’m not very into gadgets. I don’t even like tinkering with electronics if they go wonky on me, so I try to use only the quintessential ones, like cameras, laptop and mobile phone. However, I have very good reasons for getting a Galaxy tab and selfie pod. This is something I bought for my trip to Siem Reap. It was a solo trip and I prefer to take my own photos. 🙂 I also liked the clip lens (esp. the macro one) so I decided to get it. 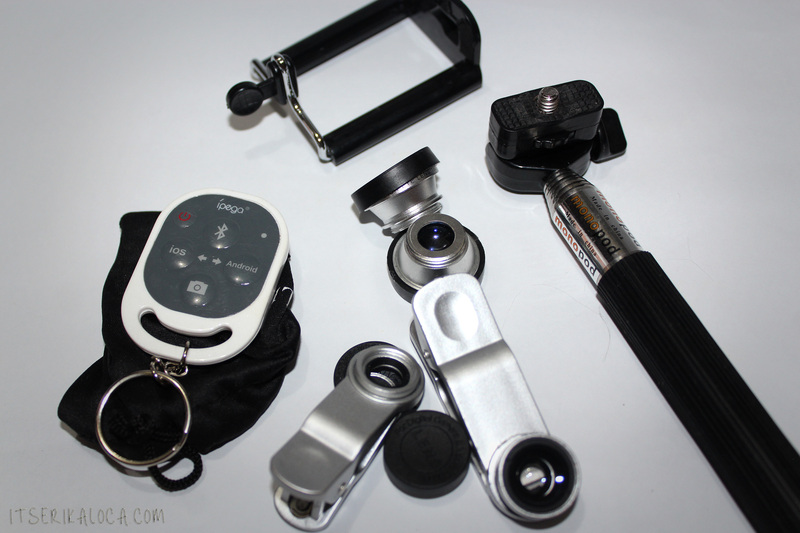 You can get them at a discount if you buy the bluetooth shutter, monopod and lens as a set. I got mine from @monopodsph on instagram. Here’s a closer look at the selfie gear. Oh, in case you’re wondering I actually have 2 sets of clip lenses. This way I don’t have to remove the wide lens from the macro one. The main reason why I got a tab even though I already have an iPad is because of the Dramania app. You’re probably wondering what Dramania is no? 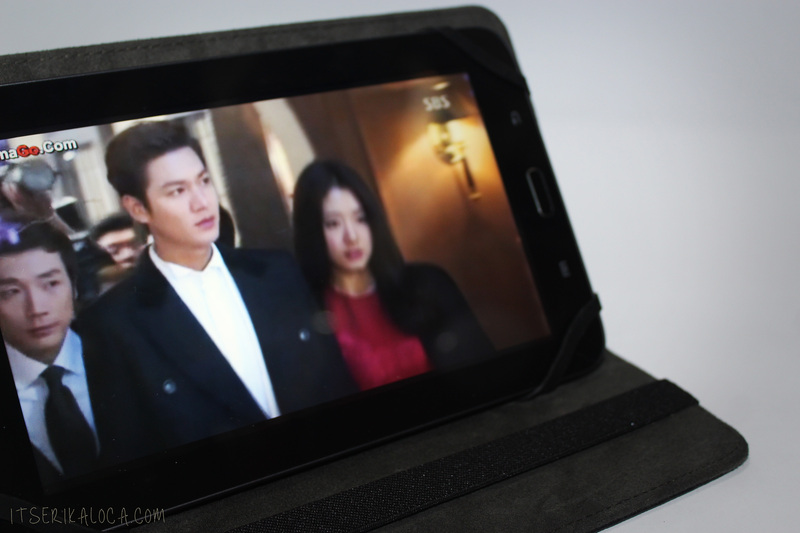 Dramania let’s you download unlimited number of Korean, Japanese and Taiwanese TV series and movies for free. Yes, it’s totally free! 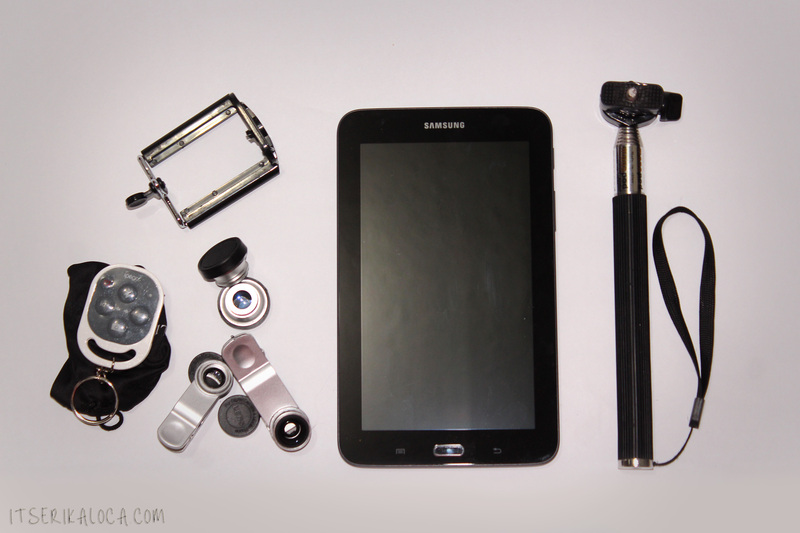 The only catch is you have to have a Samsung gadget since the app won’t work on other OS. I hope you enjoyed this post! I’m afraid I have to end this here since I’m the only person left in the office and I should go home for dinner already.